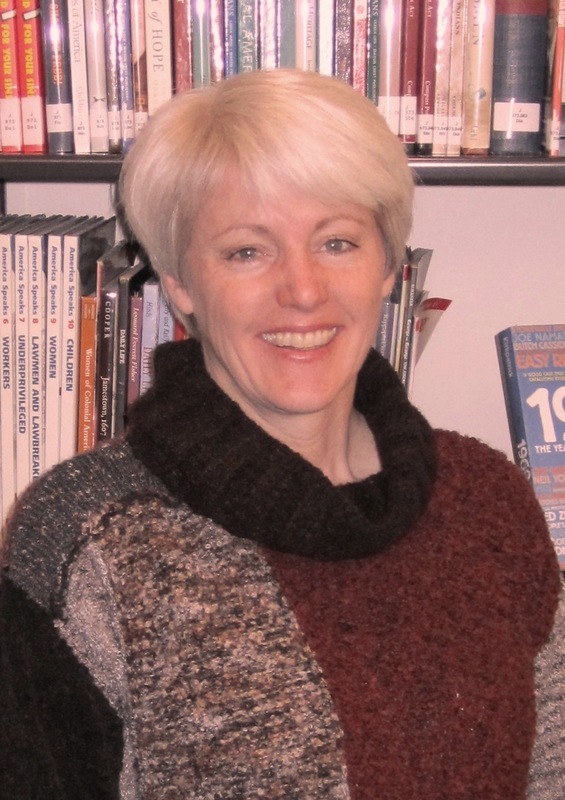 Cynthia Grady is middle school librarian at Sidwell Friends School in Washington, D.C. She is also a poet, a quilter, and author of the new book I Lay My Stitches Down: Poems of American Slavery, which is illustrated by Coretta Scott King Illustrator Award winner Michele Wood. 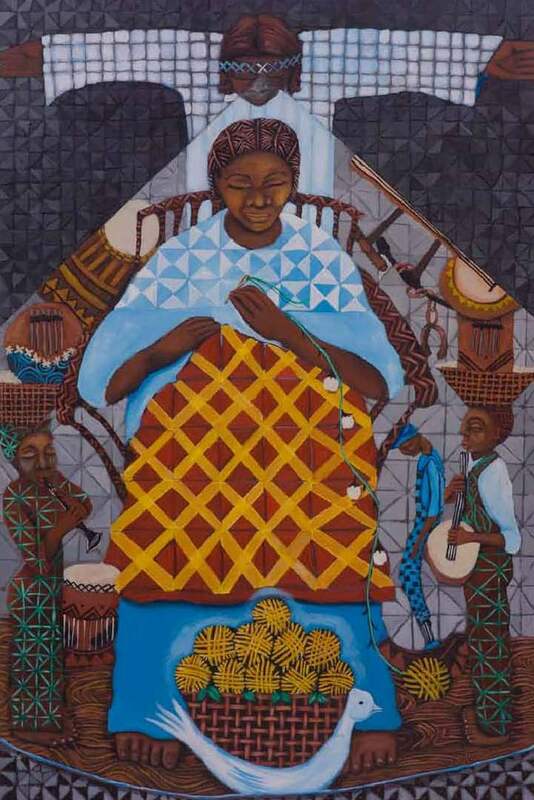 In this post, Grady describes how her love of quilting and her interest in the life experiences of American slaves came together to inspire her first book. I knew then that I had to write some poems and they had to be about slavery. I would need a minimum of 14-16 poems for a picture book to work, so I made a list of my favorite blocks: Birds in the Air, Anvil, Broken Dishes, Kaleidoscope. And then I listed some fairly obvious choices for a book about slavery times: North Star, Log Cabin, Wagon Wheel. That gave me eight blocks. Not enough for a book, but a start. I knew basket-making was a West African art so I thought the Basket block might work, too. Now I had nine blocks. I spent the next six months researching slavery with an eye toward finding block names that I could use as poem titles. In some cases, I had the idea for the poem first and in others I chose the quilt block first. Still other times, the two came together. For instance, I knew that I wanted to use Anvil and that its poem would concern an enslaved blacksmith. Likewise, I would use the Log Cabin block and write something about the archaeological digs surrounding slave quarters. I had recently visited Monticello, Thomas Jefferson’s house, and Mt. Vernon, George Washington’s house, where excavations had taken place. Researching and writing the poems for each of these early blocks led to ideas for others. While researching blacksmithing, I learned about shoeing horses, which in turn led me to information on horse racing. I was so surprised to learn that horse trainers and jockeys had been slaves that I wrote that poem without a title in mind. I thought there must be a quilt block that had something to do with horses or horseshoes, ranches or stables. I looked and looked, but I found nothing suitable. It was a long time before I thought of using Rail Fence. There’s nothing about a fence or a corral in the poem, but I think it works. The final poems came about in similar ways with one leading into the next. At one point I considered using blocks with biblical names, but I ultimately ended up using just one, Tree of Life. This project was a joyful experience from beginning to end. The constraints I set for myself within each poem allowed me to stretch meaning and metaphor in a way that was new for me and very satisfying. 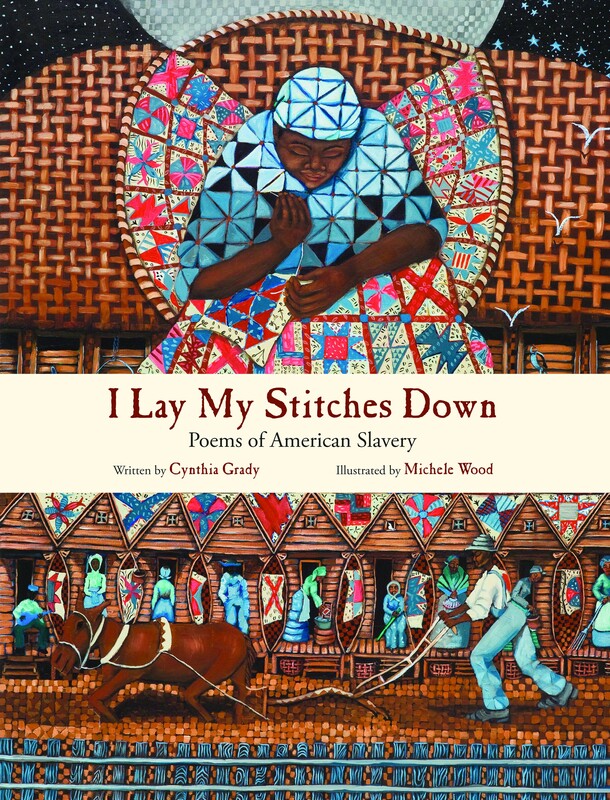 Click here to order I Lay My Stitches Down: Poems of American Slavery. Click here to visit Cynthia Grady’s website.